Peat soil normally has high organic matter content, high compressibility, and high magnitude and rate of creep. It may also be associated with poor strength characteristics and a risk of large deformation. The aim of this work is to demonstrate the application of cement kiln dust (CKD) as a pozzolanic additive to stabilize Urmia peat. CKD was added to Urmia peat by 10, 20 and 30 wt% of dry peat and was allowed to cure in water for 7, 14 and 28 days. Test specimens of untreated and stabilized peat were tested to evaluate their unconfined compressive strength (UCS), California bearing ratio (CBR) and shear strength parameters. The results showed that CKD-treated peat samples, particularly those with longer curing time, have higher cohesion, angle of internal friction, CBR and UCS compared to natural peat. Findings of this research advocate that the use of cement kiln dust as an additive to peat improves its geotechnical characteristics. 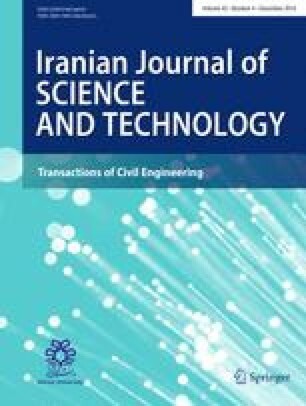 This paper forms a part of a research program in geoenvironmental engineering being conducted at the Environmental Geotechnique Research Laboratory at the Department of Civil Engineering in Urmia University, Iran. The funding to this research was made possible by the award of research grant to K. Badv from Urmia University of Iran.